Villagers near Ili Wengot Forest on Flores Island, Indonesia, plant coffee as part of a sustainable farming project led by Indonesian organization Yayasan Ayu Tani Mandari. According to the United Nations, civil society is the "third sector" of society, along with government and business. From CEPF's perspective, civil society includes nongovernmental organizations, communities, indigenous peoples organizations, universities and small businesses, among others. CEPF was formed to champion biodiversity by delivering the financial resources of global donors to civil society groups, who then carry out the conservation work themselves. Enabling civil society organizations to participate in, and influence, the conservation of the world's biodiversity hotspots is the hallmark of CEPF's approach. Why does CEPF focus on civil society? By creating a model that channels funds directly to civil society groups in the biodiversity hotspots, CEPF enables communities take charge of the conservation of their own ecosystems, giving them the resources and skills they need to take on the challenge of conserving their natural heritage and find ways of sustainably benefiting from it. CEPF's grantees work closely with local people to map out a future in which biodiversity and communities thrive together. 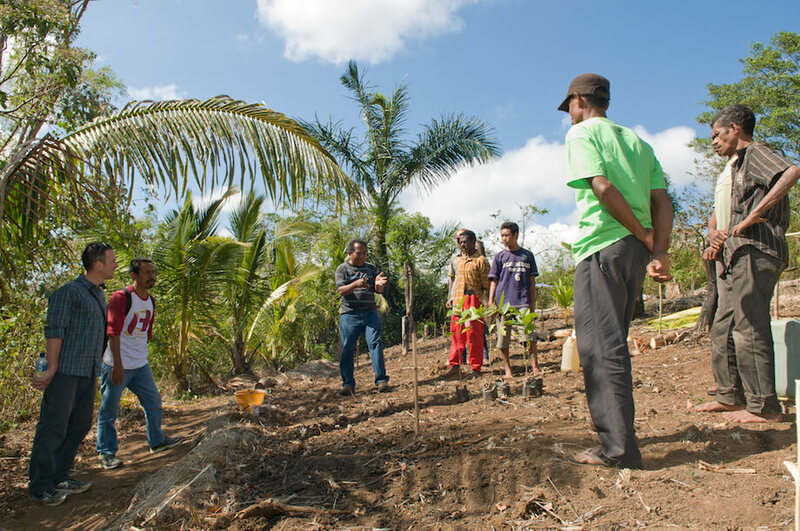 In addition to conserving species and ecosystems, the work done by CEPF grantees typically benefits local villagers, farmers, small landowners, teachers, fishermen and business owners. Their livelihoods and well-being are usually closely linked to the environment and they have first-hand knowledge of the pressures and needs facing their communities and the challenges they have to overcome to manage their ecosystems sustainably. Since CEPF began grantmaking in 2001, CEPF has given more than US$234 million through grants to more than 2,300 civil society organizations. In many cases, CEPF grantees also are trusted partners of government, but our funding goes directly to our civil-society grantees, not only cutting out bureaucracy but also complementing government projects for a broader result. Our support enables local civil society groups to participate in the decision-making process and empowers them to take care of their environment. Donors often find these groups difficult to reach, but CEPF has found an innovative way of keeping a small operational staff in its headquarters in the U.S., while at the same time extending its reach to the local level through what it calls regional implementation teams (RITs). These teams consist of one or more civil society organizations that represent CEPF on the ground in each hotspot. RITs provide guidance to local grantees, helping them build their capacity so that when CEPF is no longer investing in the hotspot, they can continue to make a conservation impact. Since 2007, 67 percent of CEPF’s grant funding has gone to local and national organizations in the biodiversity hotspots, while 33 percent has gone to international nongovernmental organizations, who are often engaged to mentor emerging local groups. CEPF funding has also helped establish 119 networks or partnerships among grantees and other stakeholders to build the capacity and sustainability of local conservation. By transforming the way the global environment movement plans and implements its essential work, CEPF has shown how it might be possible to address the global biodiversity crisis. In the process, we are enabling a powerful group of organizations to work together at the global, regional and local levels, achieving unprecedented results.